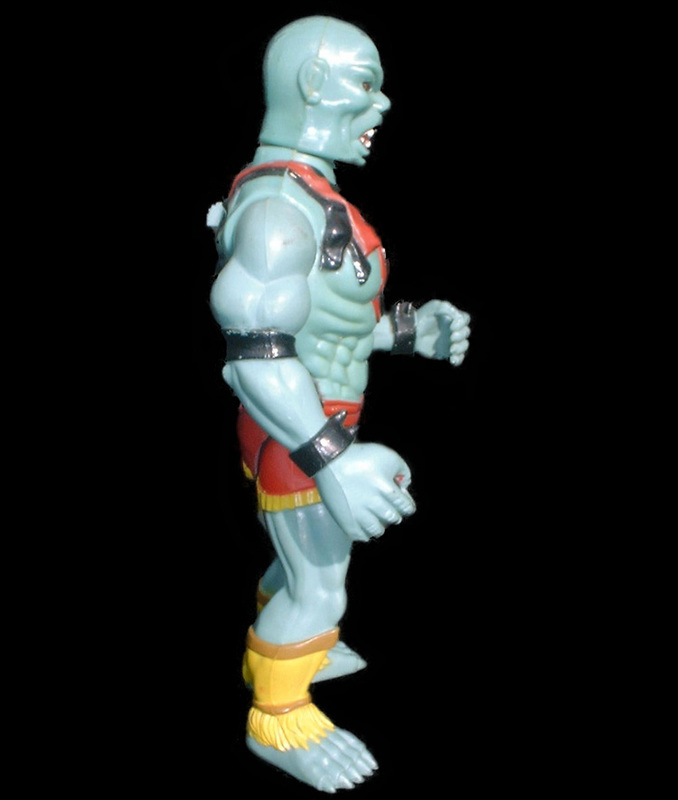 Using your forefinger, push down the battle-matic action lever on the back to move both of Mumm-Ra’s arms up and down. 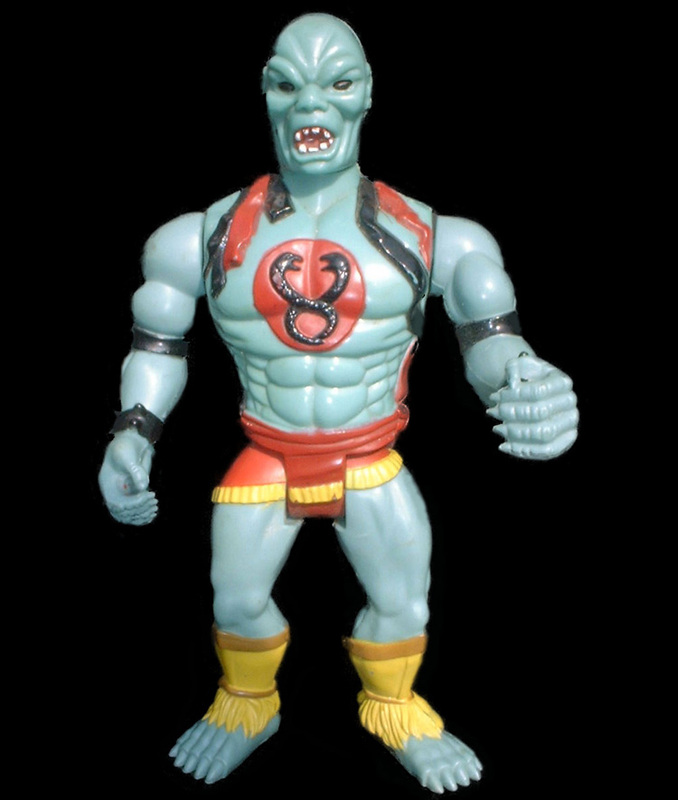 With secret power ring on your finger, insert the point into the opening on Mumm-Ra’s back. This makes his eyes light up with power. 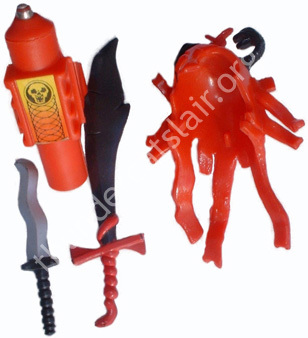 Make sure the figures mechanisms (arm action and light up eyes) are in working condition. Especially the light up eyes as this tends to break down easily. The Power Ring requires 1x AAA battery. The Power Ring can also stop working if the battery terminals get corroded. 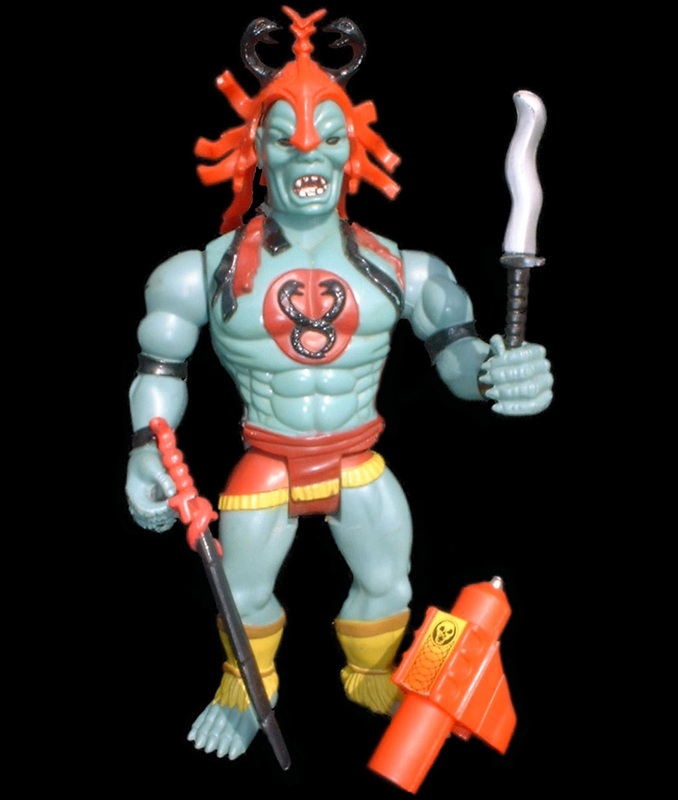 There are three variations of the Mumm-Ra figure: (1) the darker coloured accessories, (2) lighter coloured accessories and the (3) solid Mumm-Ra packaged with the Luna Lasher. There is also a variation with the dagger weapon, one has a silver blade, while the other has a black blade. 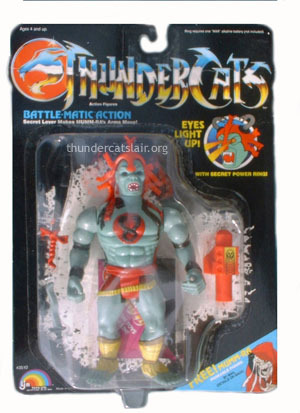 Just like Lion-O, Mumm-Ra was also released in every series (sometimes twice). 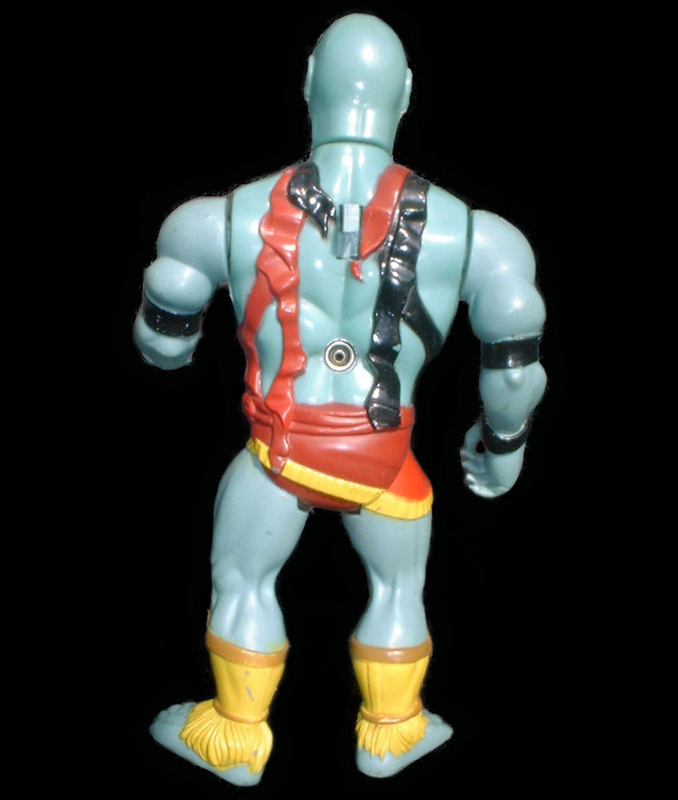 Aside from the different color accessories, the added inclusion of Ma-Mutt in the second series and the non battle-matic Mumm-Ra included with the Luna Lasher are the only big differences between each release.